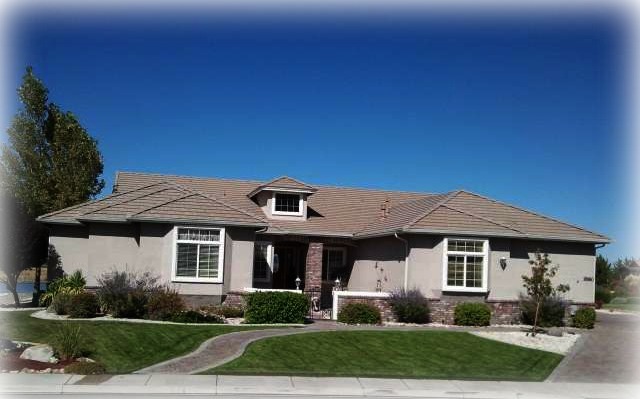 This property at 1880 Hidden Meadow Drive , Reno, NV89502 has listed by Terrie Leighton but has not been updated for quite some time. Please contact the listing agent and broker for up to date information. Gorgeous home located in the Hidden Valley Neighborhood in Reno, Nevada. This home sits on nearly an half an acre and backs to the west and has full City of Reno views with full Mt. Rose & Sierra Mountains views as well. Immaculate Single Family Home located in the prestigious Hidden Valley Neighborhood! This pristine home comes fully landscaped with easy lawn care. With the stunning, unobstructed city and mountain views, your privacy has never been further from your thoughts. The large patio with a built-in BBQ is a perfect place to relax and unwind after a long day. Watch some of Nevada's Wildlife swim, fly and run by while you wait for the sun to set in the horizon. Inside this home offers many updated and modern features. Granite counter tops, gourmet appliances, recessed lighting, breakfast bar, walk in pantry and a breakfast non all make this homes kitchen spectacular. You will find THREE Fireplaces through out! Custom built-ins, designs, a media room are just a few of the homes finest features. This home is listed as a Regular Sale! No waiting and ready for quick closing. Call for your appointment to view this home, you won't be disappointed.